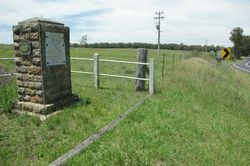 A monument was erected by the Royal Australian Historical Society in 1924 to commemorate 100 years since the explorers Hume and Hovell set out on their exploratory journey to Port Phillip in Victoria. 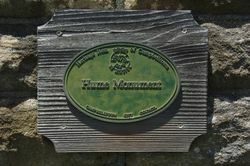 Stone recovered from the ruins of Hamilton Hume’s house at Brookdale Farm (adjoining the monument) is said to have been used in the monument. Hamilton Hume was born in Parramatta, New South Wales on 18 June 1797. He had a good knowledge of bushcraft, and by the age of 17 was exploring, first to the Berrima district (between Sydney and Canberra), then with Surveyor Meehan to the Goulburn Plains and Lake Bathurst. 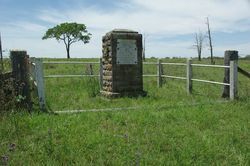 Over the next few years he was a member of several exploring parties, to Yass Plains and the tablelands near Braidwood. He was the first Australian born explorer. In 1824, Governor Brisbane asked Hume to join forces with an English sea captain, William Hovell, to go from Lake George to the Spencer Gulf (in what is now South Australia). Hovell was older than Hume, with little bush experience, but he was a good navigator. 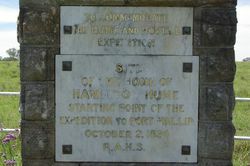 There was a unique gathering at Appin on Saturday at the ruins of the home of Hamilton Hume, explorer, who a hundred years previously set out with Hovell on his memorable expedition to Port Phillip. The remnants of his home consist of stones, overrun with blackberries and creepers. The hearth and chimney were intact. 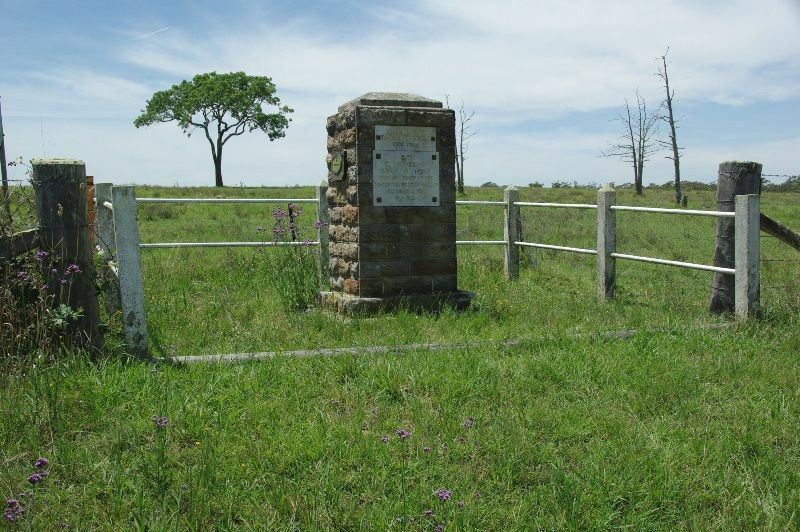 Mr. Ley, the Minister of Justice, unveiled the tablet on the pedestal on the site which recorded that the home had been the starting point of the expedition of Hume and Hovell to Port Phillip Bay,on 2nd October, 1824. The Age (Melbourne, Vic. ), 6 October 1924.